This is not my favorite work by DiCamillo. It often seemed silly and repetitive, annoying even. I certainly would not have awarded it a Newbery. But by the end, it had a sweetness to it, a completeness. A feel-good-ness. Ulysses is a squirrel that was accidently vacuumed up by Mrs. Tootie Tickham. After receiving CPR, Ulysses finds he has super powers. He can fly, type, and understand human speech. He’s even acquired super strength. (Are you catching on to the randomness?) Enter a neurotic nephew, an eccentric romance novelist, a cynic who learned all her coping skills from comic books, and a few more questionable characters, and you have the most bizarre tale I’ve read this year. Yet out from this mess rings a loud and hopeful theme—love, between friends and neighbors, between a girl and a squirrel, and between family members. I have to include the epilogue because it’s my favorite part of the book. This is poetry written by a squirrel. It touches on all the weird things that happen in the book. It also illustrates the book’s redeeming quality. Silly? Yup. Random? Strange? Yup. Yup. But sweet. Recommended for ages 8+. You know it wasn’t my favorite either. I much preferred her other books. I didn’t review it. I debated whether to even finish it, but it grew on me by the end. Still, her other works are definitely better. How’d this one win??? I just realized you changed the name of your second novel in the Divided Decade series. Much stronger. Well I remember the cover change, so I must have noticed the name change too. So much for memory. You’re welcome Alex. I went into this one blind, and probably wouldn’t have read it if I’d known anything about it. As it is, I don’t feel like I wasted my time. It’s just not a favorite. I’ve had this on on my TBR list for some time. I enjoyed your honest review as it gave me a different insight that other reviews hadn’t mentioned. Still looking forward to reading this one when I can dig it off the pile. It’s not highest on my recommendation list, but it was still a worthwhile read. Thanks for dropping by, Greg! 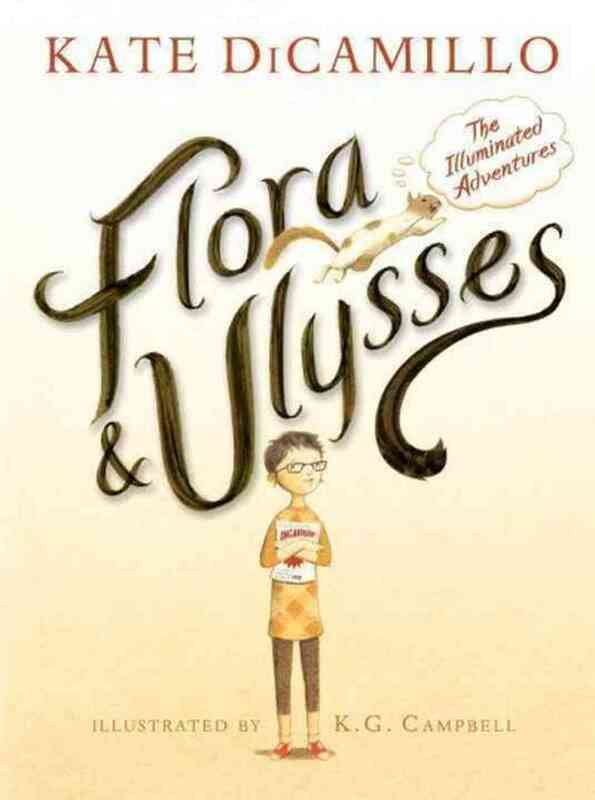 I read Flora and Ulysses. I actually liked it and you’re right, it does have a real sweetness to it and that poem at the end is just great! Thanks for the review. Thanks for swinging by and weighing in, Reader Noir. I grabbed it in part because of a recommendation you made a while back. And I thought of you during the illustrated pages. Those gave it a unique twist.